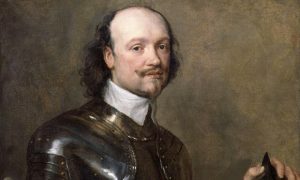 Image credit: Anthony van Dyck’s portrait of Sir Kenelm Digby. Dr Joe Moshenska’s new book ‘A Stain in the Blood – The Remarkable Voyage of Sir Kenelm Digby‘ is the story of an extraordinary life and of a journey that helped to shape a nation. Digby, one of the most remarkable Englishmen who ever lived, was a trusted advisor to the King, a pioneering philosopher and scientist, and a friend not only of Ben Jonson, Thomas Hobbes and van Dyck, but even Oliver Cromwell. He was also widely known as the ‘son of a traytor and husband of a whore’. In an attempt to clear his name, and on a quest for personal glory, Digby assembled a fleet and set sail for the Mediterranean. His journey is a great and overlooked adventure, and a prism through which to view England, and all of Europe, during one of the most pivotal periods in its history. ‘A Stain in the Blood’ is launched with an event at Heffers on May 4, everyone welcome.